It won't be long before the temperature drops and snow flies, and wildlife looks for warm places to nestle. 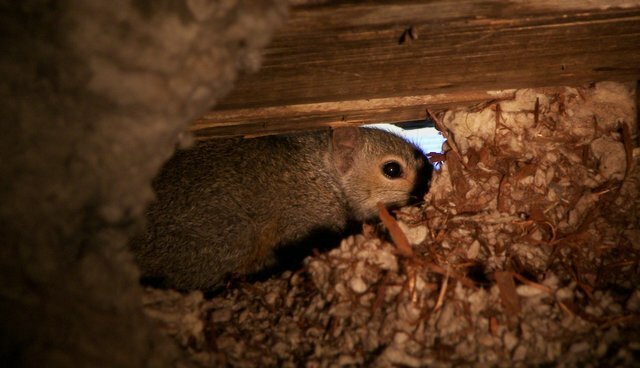 Now is the perfect time to take inventory of your home and make the necessary repairs to prevent wildlife from making your home theirs this winter. While you might not have noticed deteriorated trim or fascia boards, holes in attic vents or an open chimney, you can bet your wild neighbors have. Potential entryways into your home allow heat to escape and animals to enter. By preventing the entry of wildlife into your home, you can keep critters safe and avoid having to evict them (and maybe even their young) at a later time. To help you with this seasonal chore, we've made a list of 11 to-dos to get your home ready for the change in the weather. Tools you'll need: binoculars (to help see trim boards, siding, and vents up close), a flashlight (to see into dark spaces) and a camera (to record repairs that are needed and monitor the condition of your home exterior).